This report focuses on the the challenges facing the Australian-French agreement on a new build submarine and the alternatives to pursuing this path open to the next Australian government. 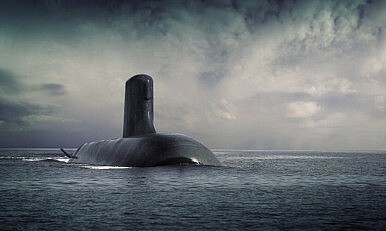 In 2016, Australia announced that France had won the competition to build the new submarine for Australia to replace the Collins class submarine. At that time both a secrecy and an initial agreement to put in place and agreements putting in motion work on the design contract were executed. The result has been that there Australian engineers working in France with Naval Group. Yet since that time, the Aussies have agreed to a new buy of ASW frigates with the British and have concluded the initial agreement with Lockheed Martin with regard to the new build submarine combat systems. The baseline agreement governing the build of the new submarines remains a work in progress. They have been recent reports that the negotiations have reached an impasse, although the Defence Minister of Australia, Christopher Pyne, has recently commented that although difficult the negotiations remain on track. But this is no ordinary agreement. At its heart, the Australian and the French will have to agree to co-design and co-development of a submarine which has never been built. They will as well have to find ways to move beyond classic technology transfer or the fork-lift approach which Australia has traditionally used to bring in new military platforms. The question is can they do it? And can they succeed in building a timely project which delivers a “regionally superior” submarine? And what are the alternatives which a new Australian government could pursue? This report focuses on the path which the UK Air Combat Strategy which is in the works might take. Will the new Air Combat Strategy live up to the legacy of Air Marshal Dowding? This report focuses on the future of Australian defense in a dynamically changing region. How might Australian defense evolve and with what consequences? What strategic choices will Australia face?